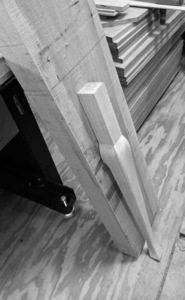 Moving on from the main box, it’s time to create the carcass starting with the legs. 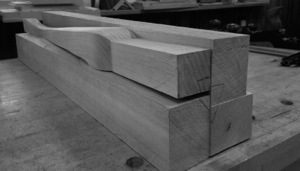 This facet is probably the most challenging aspect of this project to date since it is shaped in three-dimensions. 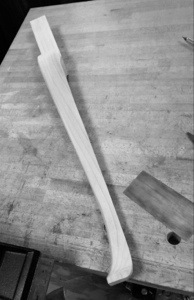 Until now, each of the components has been shaped only in one plane. The top, and main box front, for example, only curve in one plane. They aren’t bombé! 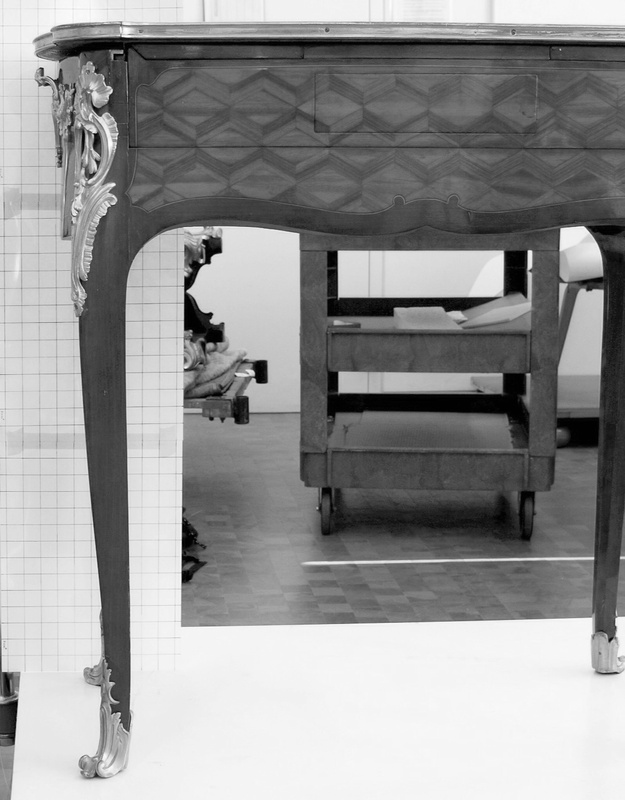 The French cabriole legs, however, are a different story. 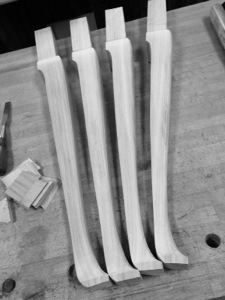 The process begins with a large blank for each leg. 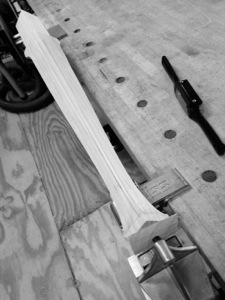 Then, to paraphrase Michelangelo, you simply carve away anything that doesn’t look like a leg! Needless to say, there is a considerable amount of waste. 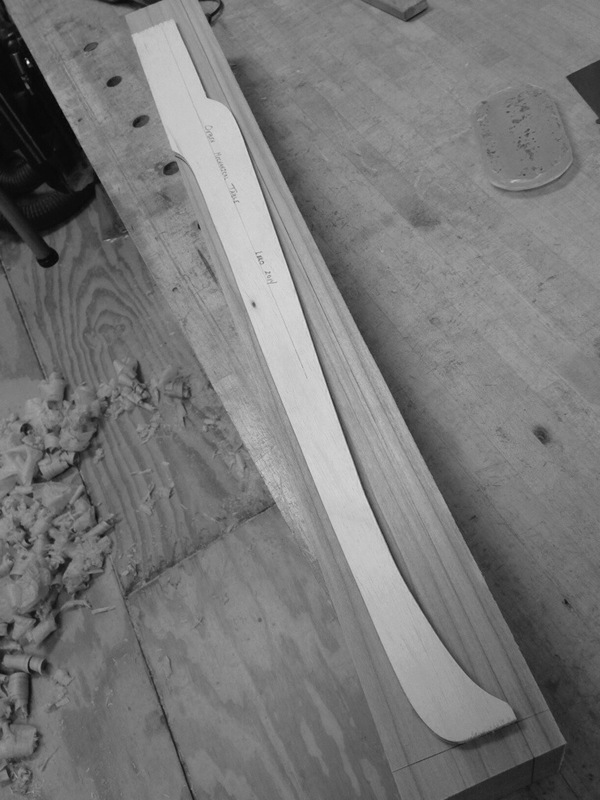 Eventually after a series of steps, coarse, medium, and fine, you arrive at the final profile. 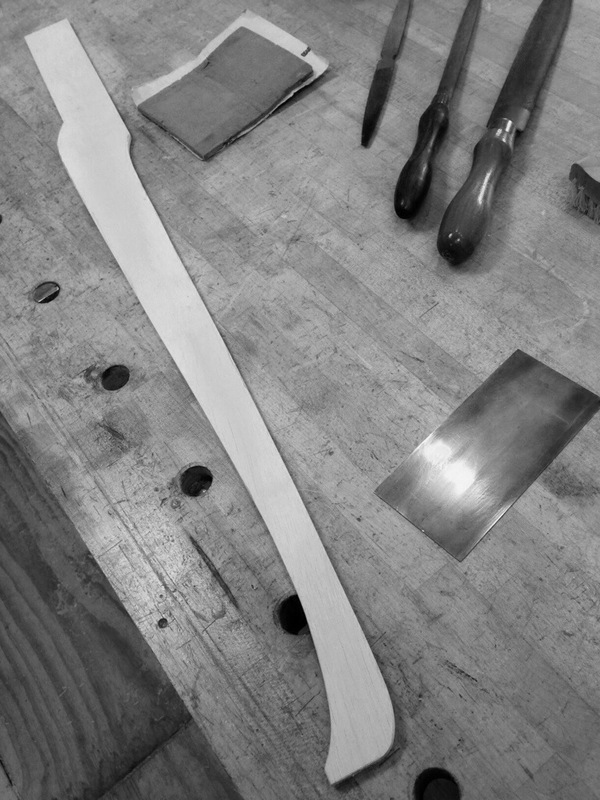 The challenge in the end is to produce four “identically” hand shaped pieces. As the carcass is constructed further, the entire unit will undergo another round of sculpting to bring it to its final form.